It’s crazy to think that just a year ago, I just started running consistently. I took my last run on Sunday for the year and hit 1160 miles for the year. I had only run 20 miles in 2017 and all of those miles were in the last week of the year. December was a month of getting back in the swing of things and back in shape as I get ready to start my training for my next marathon. I ended up with 102.7 miles for the month. In the last year, I was able to keep my Crohn’s in check, run two 5k’s, 10k, half marathon and the Chicago Marathon. During this whole process, I also raised over $5000 for the Crohn’s and Colitis Foundation to help find a cure for these diseases. “GI issues” can occur for any runner, with or without an illness, and I was quite fortunate that I never had any issues at all during my training or during the marathon. I can count on one hand how many times I had to make a stop at the house during my run to use the bathroom. When I went to the doctor last week for my yearly check in, he was a little taken back on my running and how things have been health-wise for me. He said if it seems to be working for me, to keep it up and stay on my Humira and Imuran since things seem to be working out for me. 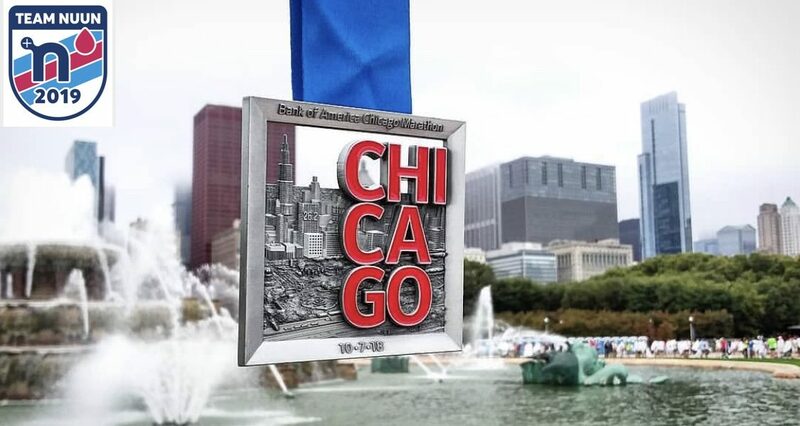 When I signed up for the Chicago Marathon, I figured I would be a one and done type of guy. I was wrong. I have got the bug now and love my time either in the field house or out on the roads running. I am in the best shape I have ever been and am not stopping. I have also lost about 30 pounds in the last year as well. I had put out some goals in my previous post and am excited to take them on for 2019. The Rock n Roll Nashville Marathon is my next scheduled race. I was registered for a half marathon in March, but it got cancelled so I may have to see if I can find one durning my training before April 27 that is close to me. This spring will decide on what will happen in the fall when it comes to the fall marathon. If by the grace of God, I get into New York, it will be that one for sure to check off the bucket list. Assuming that doesn’t happen, I’m pretty sure I will end up going for the Marine Corps in DC. Cheers to 2019 and can’t wait to see what it will bring! Previous Previous post: Let the Training Begin!